In a large pot, heat oil over medium heat. Add onions and cook until soft and clear. Add Broth and bring to a boil. Add broccoli, potato and herbs. 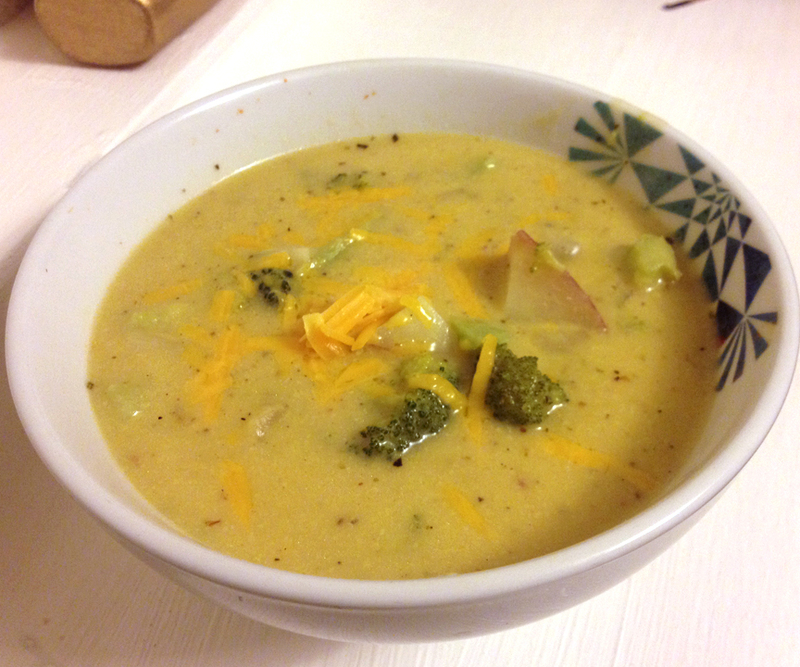 Cook on medium-high heat for 15 minutes, or until broccoli and potatoes are tender. Stir flour mixture into broth mixture. Cook, stirring constantly, until soup is thick and bubbly. Add cheese if desired; stir until melted, serve.